Offering amenities that remind patients of hotels and make them highly likely to leave a rave review. Boosting metrics in order to improve HCAHPS scores or Hospital Compare rankings. Providing healthcare services that meet patients’ needs and expectations in a dignified and empathetic way. The first idea has faded amid questions about the ROI of nice TVs or fountains in waiting rooms, with an expected emphasis on design changes more closely tied to care delivery. The second idea has more merit – witness the growing market for survey tools to measure patient experience at the point of care – but can be clouded by business practices that emphasize high scores (and the reimbursements that accompany them) over appropriate care. The third idea seems like a no-brainer, a modern take on the Hippocratic Oath, but it often leads to discussions that emphasize abstract, sometimes intangible topics. 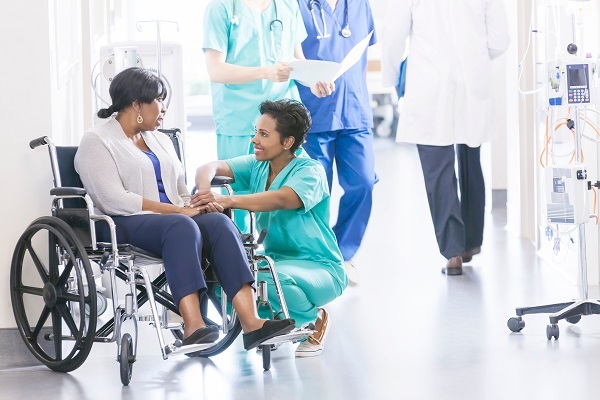 After all, measuring empathy is difficult, especially when compared to measuring what percentage of patients said in a survey that nursing staff introduced themselves upon entering the hospital room. Think about the terms that healthcare insiders use – and then think about how they sound to everyday people. Do these phrases convey empathy for a patient who’s suffering? The recent Health Experience Design conference didn’t solve the problem of measuring empathy – then again, what two-day event could? – but it did take the step of starting tangible discussions for HCOs aiming to go beyond metrics and amenities to in order to provide the care and services that patients truly need. Here are eight takeaways from the event. Talk to patients sooner rather than later. Instead of simply recruiting patients for clinical trials, recruit them to help design the trial itself – and compensate them for their time and expertise. Before seeking patients for an advisory board, get their feedback on how they would like to work with the board (and the business line or institution the board represents) to improve overall patient experience. On a personal level, use conversations with patients as a way to discuss social determinants of health that are otherwise difficult to capture and record within today’s clinical applications. The final output of an Innovation Center, healthcare hackathon, or startup challenge is rarely a finished, full-fledged solution. HCOs that aim to support innovation through such initiatives need to bake project and product management into the process; this will allow emerging ideas to become tangible products and/or services with the potential to scale beyond their initial use case. Think about the terminology that healthcare insiders use – and then think about how they sound to everyday people. The document that includes information about a patient’s symptoms, illnesses, injuries, and medical history is referred to as a “problem list” – a term implying that patients are at fault and need to be fixed, not treated. So do a host of other terms, including frequent flier, non-adherent, and non-compliant. Do these phrases convey empathy for a patient who’s suffering? Find the patients you don’t know. For far too many people, concerns about health and concerns about money are not mutually exclusive. This increases stress, which worsens health and further exacerbates worries about money – to the point that patients who are uninsured or underinsured will forego preventive or low-acuity care they fear they cannot afford. HCOs must figure out how to engage with the patients they are not currently serving – whether through community/neighborhood outreach, employers, faith-based organizations, government agencies, or other groups serving populations that eschew the healthcare system. Expose patients to decision support. Clinical staff at HCOs (including payers) have access to decision support solutions that help them determine the proper course of action for a particular patient, drawing on data from a multitude of sources (including some a patient may not know exist). Why can’t patients see a decision support solution’s recommendation for the care that they and they alone will receive – or, at the very least, why don’t they have input into whether a recommendation should be acted upon? Remember that computers don’t care. That said, the output of decision support tools – and any other clinical or digital health solutions – cannot be accepted as gospel. A “smart scale” may recommend a weight management plan for a patient consistently gaining weight, not realizing that the patient is a growing toddler. An algorithm that determines benefits or service eligibility could trigger dramatic changes with no regard for an adverse impact on patients – especially when the objective is to manage financial risk and not clinical outcomes. Use apps (among other things) to fill gaps. Staffing shortages, especially in behavioral health, often leave patients waiting weeks to see a physician, nurse, specialist, or social worker after initially scheduling an appointment. The use of carefully curated digital health apps can help HCOs fill any gaps, whether it’s collecting patient intake information, onboarding a condition or disease management program, providing relevant educational materials, or calculating patients’ out-of-pocket costs for the services they have scheduled. Hospitals have separate departments for patient experience and quality/safety – but to patients, these are not separate concerns. After all, a fall during a hospital stay is a safety problem and a patient experience problem. If merging these departments is not be feasible, the separate efforts should at the very least have complementary goals, objectives, best practices, and reporting mechanisms. It will take healthcare some time to move the needle on improving the patient experience. Even the most educated, empowered, and informed patients can be treated like pawns, endlessly waiting instead of healing. But small actions from front-line staff to executive leadership can have a large impact, even if the impact is only measured one patient at a time. After all, healthcare is above all about delivering the right care at the right time to the patient in front of you.